Too tired of going thru your usual facial cleaning before snooze time after a day of wearing makeup? Use facial cleansing wipes! Make sure to have some on your bedside table so you can just pull a sheet and start removing all that makeup off your face. Of course, make sure that what you're using is really good...something that can not only cleanse, but also take care of your skin. 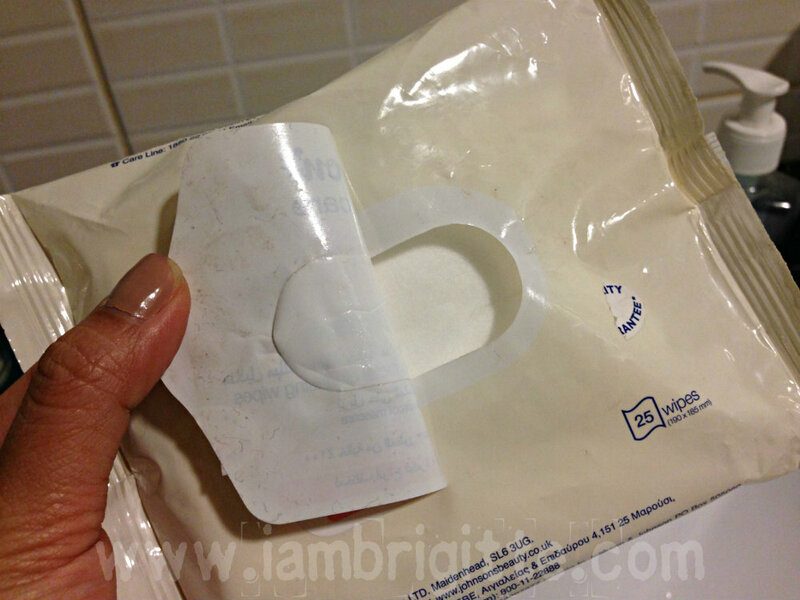 In the past, I've only tried makeup remover wipes from Revlon, Purederm, Neutrogena and Celeteque. From the four, my favorite has got to be Purederm, as it also has anti-acne properties because of the Salicylic Acid. Too bad I wasn't able to bring some because it was out-of-stock! It always is! 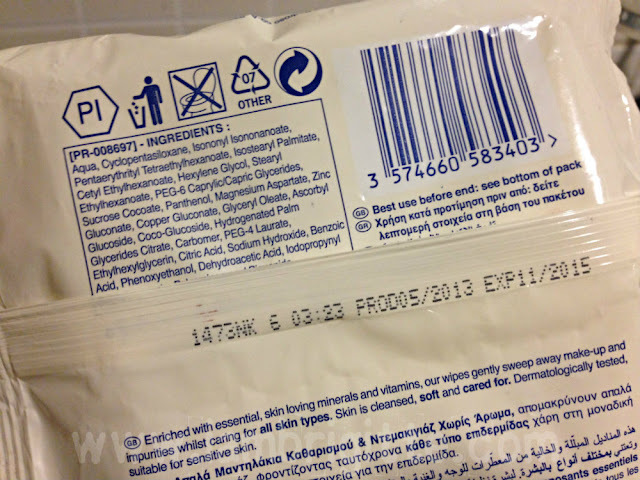 I didn't worry too much though, as I'm sure I'll get to find another good brand of facial wipes here in Dubai. I have seen lots, but I chose the one brand that I'm sure is gentle enough even on babies' skin...Johnsons! Enriched with essential, skin-loving minerals and vitamins, our wipes gently sweep away make-up and impurities whilst caring for all skin types. Skin is cleansed, soft and cared for. Dermatologically tested, suitable for sensitive skin. Removes even waterproof mascara. Expiration Date: 2 years+ from date of production...not bad! Like the other facial wipes that I've tried, this one comes in a travel-friendly pack. To make sure the sheets remain moist, keep the pack upside down. I'm not sure where I got this tip, but it works. 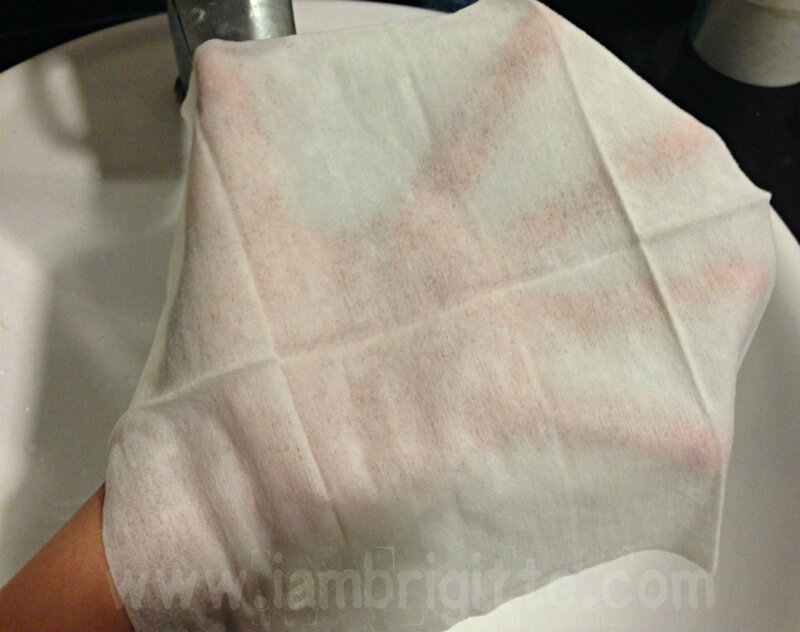 The sheet is big and moist enough to be used on the entire face and even on the neck. 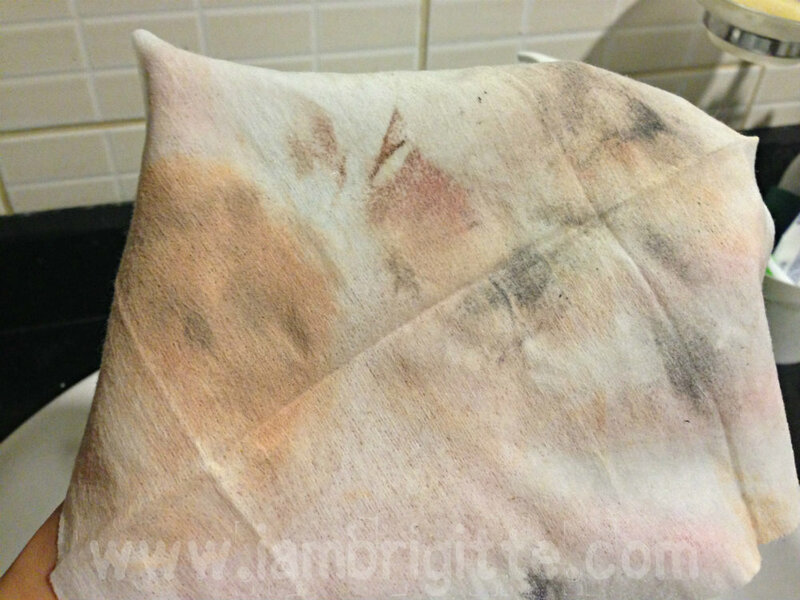 Sometimes I use two sheets most especially when I'm wearing a heavy-duty foundation. If you think the sheet is too big for your needed use, cut it and store the excess in a ziploc. Oh yes, I am breaking out so bad! 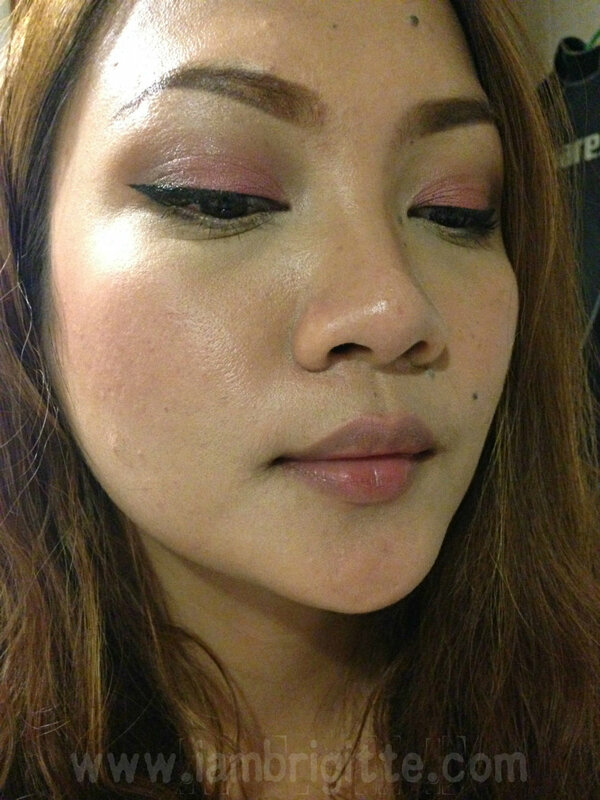 It's one indication that the weather's getting colder...my pores tend to get more clogged even when I don't wear makeup everyday! As you can see, all of my makeup has been removed. Yes, even the waterproof mascara! My skin's left with some moisture, but it doesn't feel greasy at all. After a few minutes, the moisture sinks in and my skin is left feeling soft and clean. And oh, this doesn't have any scent at all! Overall, I am liking this product. No irritation so far! 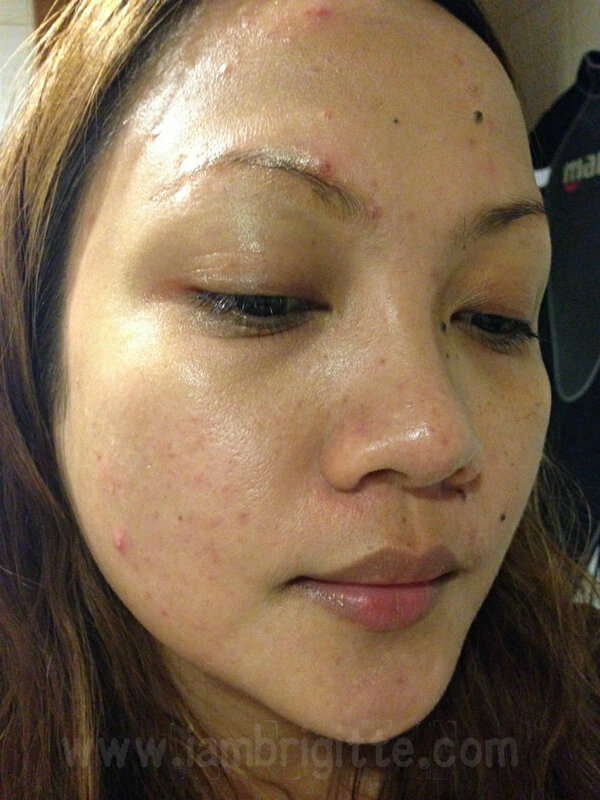 Well, I'm pretty sure my breakouts aren't caused by this..Hahah! Priced at 22 AED (got it at Spinneys, not sure if it's cheaper in other stores) for a pack of 25 sheets. 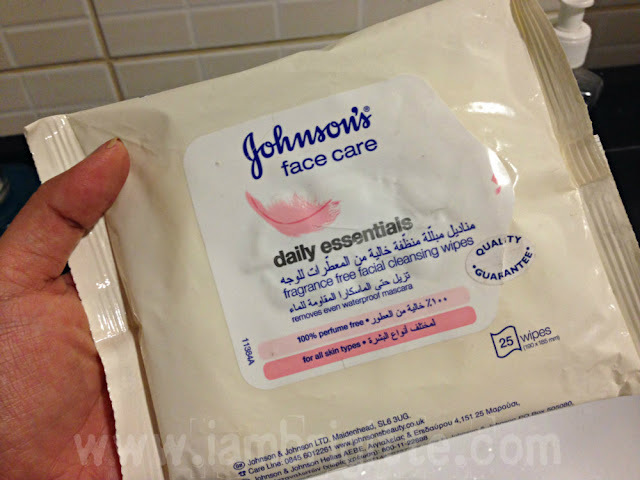 I've seen online that Johnson's has facial wipes specifically for night time, since it has an aroma to supposedly help you get relaxed and easily doze off to sleep. I haven't seen that in stores yet, but I would love to try it too! The brand actually have lots of face care products here that I haven't seen back in PH so yes, I am excited to check them out.